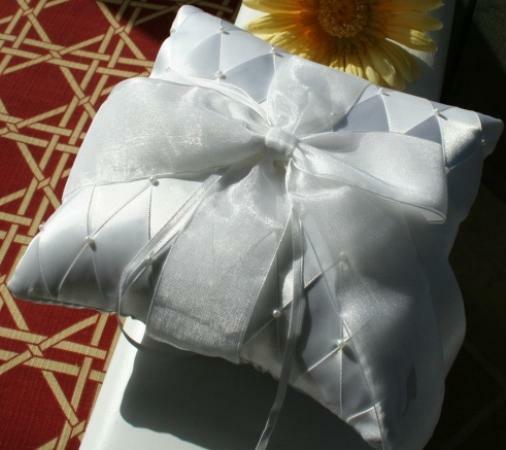 Classy White 5" square Ring-Bearer's Pillow with a diamond pattern formed by satin ribbons and pearled beading. A pair of gold hearts are secured to the center to accompany your rings. 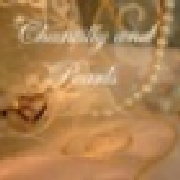 The bride can later remove these hearts to place on a gold chain, use in her wedding album, or give as a gift. It has small white satin ribbons for securing the wedding rings, but you can choose to customize this pillow with another set of ties in your color choice. This item comes with a gift for you at no charge.